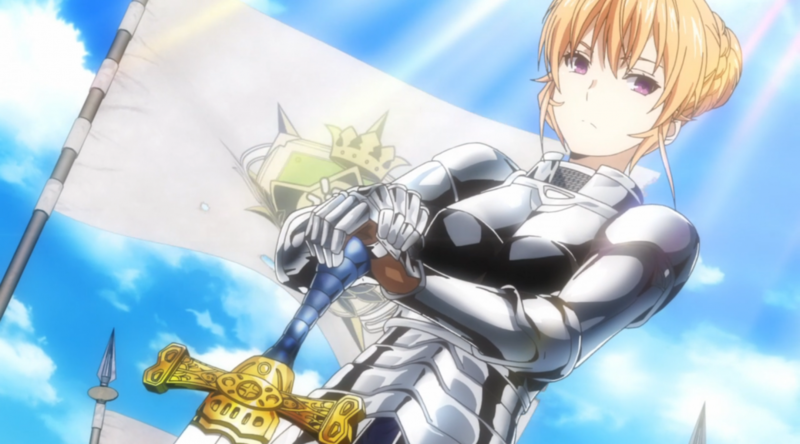 See that picture up there of Erina dressed as Jean D’arc? Right now, all over the world, Fate/Stay Night fans are waking up in a cold sweat; they sense a disturbance in the mana. Feverishly, they bring up Ami Ami and Jlist, trying to preorder a rockin’ PVC figure that does not yet exist…. Erina merch sales aside, we’re back to The World’s Most Impractical Choo Choo Train Final Exam, Round Deux. Since giving the rebels poor-quality ingredients didn’t work out so hot for the Totsuki instructors last time, this time they’ve decided to give the kids virtually NO ingredients and see them reduced to making ramen out of sawdust. By the time our chefs get to the exam rooms, all of the good ingredients have been taken, and thanks to white-out blizzard conditions, they can’t go out shopping for more. Ruh-roh! 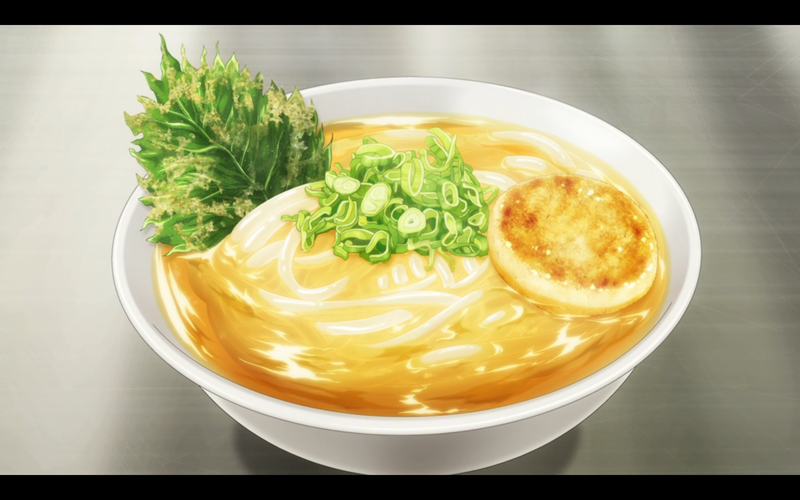 Hey, Ms. Koizumi Loves Ramen Noodles was last season, guys. Get with the program. Fortunately Erina taught all the kids about the incredible versatility of potatoes, so everyone makes noodles, toppings and broth out of the savory spud. An easy way out perhaps, but one I appreciate, because potatoes really don’t get enough credit nowadays. What other food is so affordable, and can be made delicious with so little effort? Often I’ll throw a russet potato in the oven for an hour or so, cut it open and add a little sea salt, and I have a nutritious, filling dish for trivial cost and effort. I hesitate to use this term, but really, potatoes are a Life Hack if ever there was one. That’s two dishes in a row that I would actually eat! Watch, next week the dish of the episode will be Roasted Venison with a side of lamb brains or something. It’s best not to get too carried away with potatoes, because then you get the Irish Potato Famine and that’s not good, but still, I think you see my point. The exam is actually somewhat de-emphasized this time around so we have time to see the kids palling around in Sapporo, which is all good fun. Erina’s realization that she’s never really enjoyed travelling before now is predictable (since this whole arc is about her realizing how crappy her “exalted” life has been up to now), but handled deftly enough. I feel kind of cheated that we didn’t get to see any of the restaurant dinner with Soma, Erina, Megumi, and Aldini though; that could have been an episode unto itself. Chef’s whites are apparently optional at Totsuki, otherwise Soma, Ryo and Nikumi would have already been expelled. I worry about Nikumi, actually; it’s all fun and games wearing a bikini top in the kitchen until you get a hot clam down your cleavage. Finally, the kids get split up on different trains (which, as Rindou points out, anyone who’s been paying attention should have expected), and they prepare for their battles against the Elite 10. Soma is going to be taking on Hayama, newly-appointed to the Elite 10 which is…okay, I guess? We’ve already seen Soma vs. Hayama, so unless Spice King Hayama has discovered a host of new spices from an undiscovered continent or something, I’m not sure what kind of monkey wrench they’re going to throw in here to make this rematch interesting. 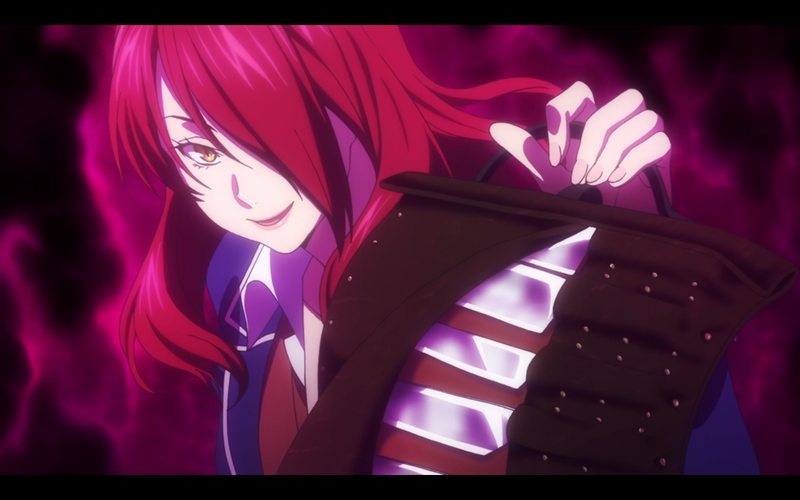 What I am excited about is seeing a match against Rindou, No. 2 on the Elite 10. She’s been an important character for all of The Third Plate, yet we still have no idea what cuisine she specializes in; I don’t think they’ve even dropped a hint about it. 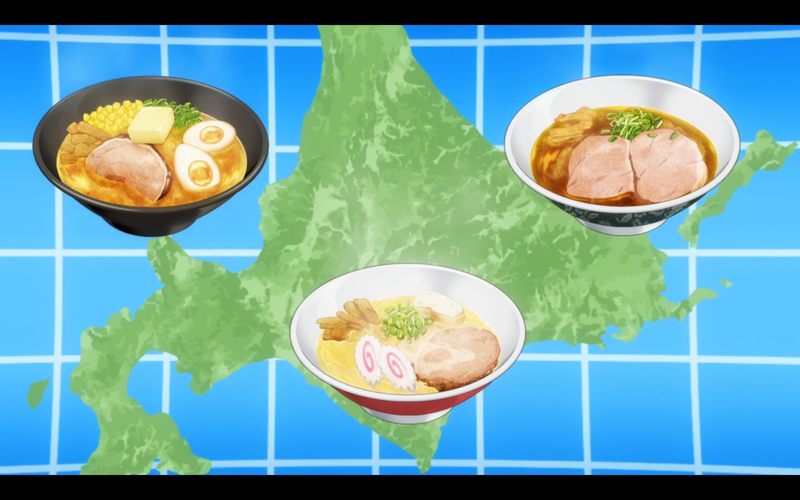 I’m really curious, because they’ve already assigned so many different cooking specialties to different characters, I don’t know what sphere of cooking is even left for Rindou– yet, as No. 2 on the elite 10, whatever she does has to be a doozy. 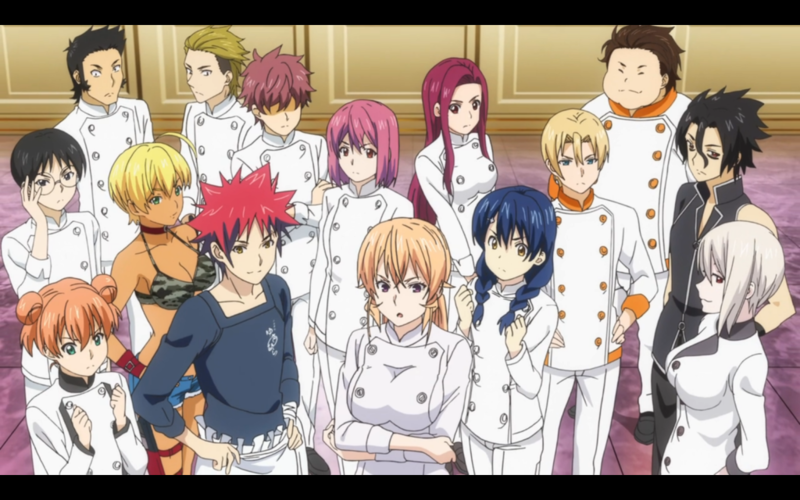 They could pull something lame like “actually Rindou is a master of ALL CUISINES!”, but I’m hoping it’s something more interesting than that. WHAT DOES RINDOU COOK? I’ve been asking myself this question for six goddamned months now, I can’t stand it much longer. I have to wonder though; if the next battles are all against the Elite 10, and Erina is already a member of the Elite 10, who’s Erina going to take on– herself? Will Erina have to battle an evil doppelganger of herself, Shadow Erina, who will later see release as yet another awesome PVC figure? I hope so, but if we can’t get that, then I would accept Erina vs. Rindou as a close second.